Get creative and do some planning. Think of a design yourself or copy something you’ve seen elsewhere. You can draw an outline in felt-tipped pen first as the pen marks will disappear when your piece is fired. If you use stencils it is worth first drawing the shape through the stencil with the felt-tipped pen and then painting in the shape. This will prevent paint bleeding under the edge of the stencil and you will get more even coverage of paint. 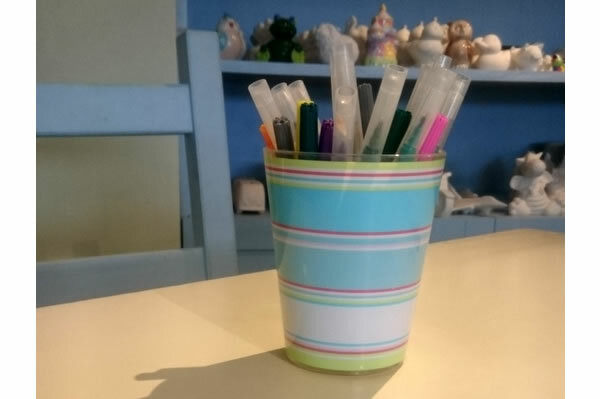 We do not give out pencils for drawing outlines as these can score the ceramic if pressed hard and also, some pencils seem to have a wax coating over the graphite which can then repel the glaze.